Ben&Ben are releasing a new album this May and have just announced the dates for their Limasawa Street Tour. As a treat to fans of all ages, Ben&Ben are taking another route by holding their concerts in the form of mall shows. The band shared the news on their social media channels and confirmed concert dates in 14 cities. The tour kicks off in Pampanga on May 17 and will end in Davao on August 17, 2019. 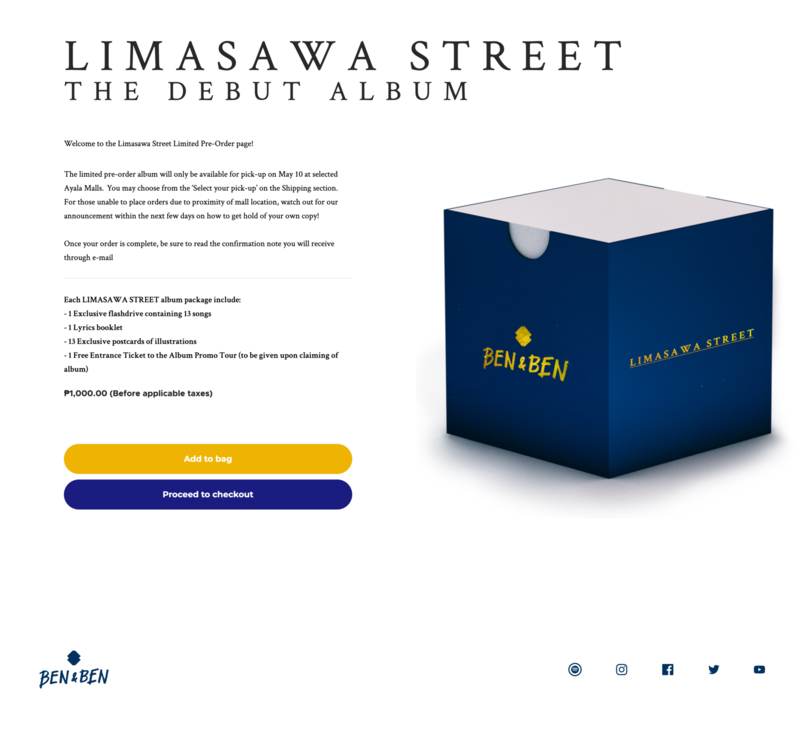 Limasawa Street, the folk-pop group's debut album, is available for pre-order now. Each pre-order comes with a ticket to access one of the Ayala mall shows. Pre-order the album here. Ben&Ben are also setting their sights overseas this year, with a performance at 1MX in Singapore on May 18.